Paid £116 for mine and even going from ssd to this is night & day …Paid £116 for mine and even going from ssd to this is night & day performance wise blown away again. Went from an 840 Pro to a 500GB 960 Evo and the performance difference was.....nothing. Barely noticeable in gaming, lightroom, desktop usage. Paid £116 for mine and even going from ssd to this is night & day performance wise blown away again. The few thing's I've read state that for gaming there is no, or next to no difference (As can be seen in the above side by side test video). VV reshade load speed is limited by cpu, not hdd, despite what you may imagine. Quote from the developer " The only exception is loading time. That part is CPU bound and not multi-threaded, so the better your CPU clock speed, the faster ReShade will load up (doesn't matter how many cores it have)." Is this faster than the other Samsung Evo hardrive shaped SSD for laptops. I do know that this is for desktop computers. If the old sata ssd was small, old,cheap,full or shagged out (yes,125 gig ssd's can wear out in about 4 years), its not the nvme drive making a really noticeable difference,its the problem with the old drive. In real world tests (sitting at keyboard general tasks) an NVME drive makes barely any difference compared to any recent 250 gig sata ssd. (evo 840, 850, corsair mx/bx,etc) inc gaming. There are tasks it makes a bigger difference but these are more pro user aligned. Reshading (improving) textures in a game shunt to gpu it will be faster but I suspect its 50/50 your old drive was a bit 'pants' as well.Or it wouldnt be night and day. Long story short is you' re doing something most people dont. NVME is STILL overpriced; samsung have promised x2 production next year on various lines of newer storage chips. 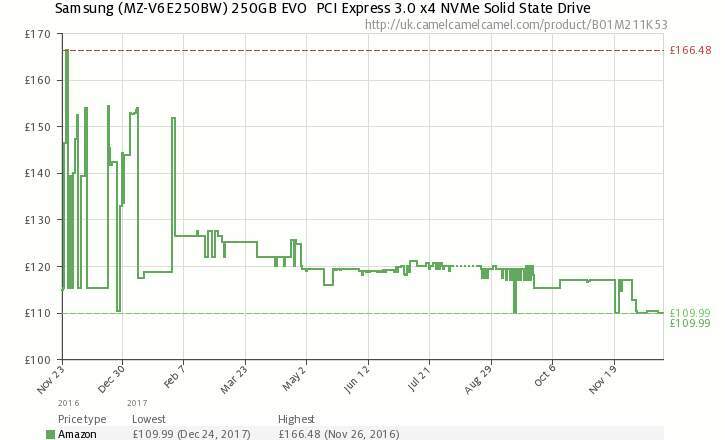 So personally I wouldnt buy an NVME drive until they are near parity with SATA price wise. but I wouldnt try it unless you are running a high end desktop motherboard or just happen to have a £100 raid card. Wish you all a happy Crimbo! In a laptop there is no performance difference (everything else is slower) and nvme M2 socket unlikely you got a hole to fit it in. best buy is crucial 275 gb drive for the extra capacity. If the old sata ssd was small, old,cheap,full or shagged out (yes,125 gig …If the old sata ssd was small, old,cheap,full or shagged out (yes,125 gig ssd's can wear out in about 4 years), its not the nvme drive making a really noticeable difference,its the problem with the old drive.In real world tests (sitting at keyboard general tasks) an NVME drive makes barely any difference compared to any recent 250 gig sata ssd. (evo 840, 850, corsair mx/bx,etc) inc gaming.There are tasks it makes a bigger difference but these are more pro user aligned.Reshading (improving) textures in a game shunt to gpu it will be faster but I suspect its 50/50 your old drive was a bit 'pants' as well.Or it wouldnt be night and day. Long story short is you' re doing something most people dont.NVME is STILL overpriced; samsung have promised x2 production next year on various lines of newer storage chips. 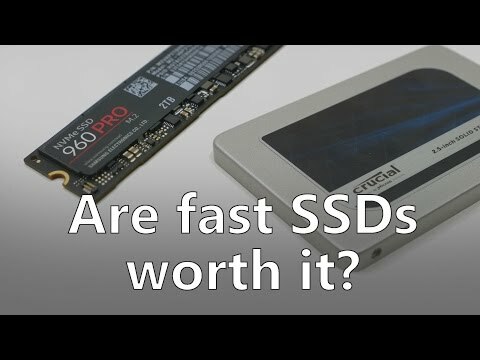 (phones are hoovering up production lines because IDIOTS pay £700 for them)So personally I wouldnt buy an NVME drive until they are near parity with SATA price wise.Interestingly you could get similar performance and twice the capacity out of 2 SATA ssd's in raid 0, for less money per gig,but I wouldnt try it unless you are running a high end desktop motherboard or just happen to have a £100 raid card.Just my tupence worth,Wish you all a happy Crimbo! NVMe SSDs like the one in this deal can be used in laptops too. You just need a laptop that has an M.2 PCIe slot.